Did You Ever Give a Chicken a Bath? No. Heck no. They run around in the rain. Good enough. I also don’t snuggle with my birds. Maybe I’m the weird one. However, I don’t show my birds. Mine are economy birds, not luxury birds and certainly not show birds. 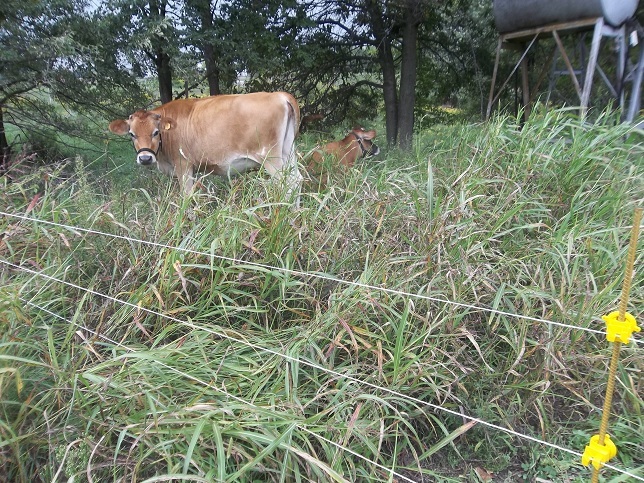 They eat bugs, dethatch the pasture, spread manure piles and lay eggs, all on a relatively small amount of feed. Economy. They are not pets. When they get old they get retired to freezer camp. If they get sick they get culled. If they develop a limp they get culled. If they don’t lay eggs they get culled. I think they are happy taking dust baths so I don’t waste time fighting it. I now present two links. 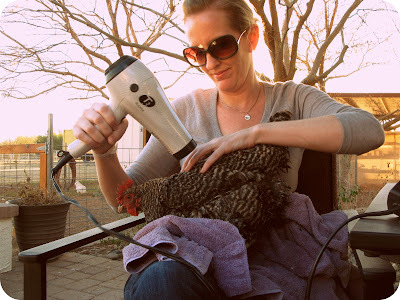 The first is a how-to on bathing your chicken sent by my sister. I read that and shake my head. Others may read it and take notes. Good for you. The second is a portion of a documentary called The Natural History of the Chicken. I would swear it was made as an homage to Christopher Guest. Just watch the bit about the lady with the chicken. 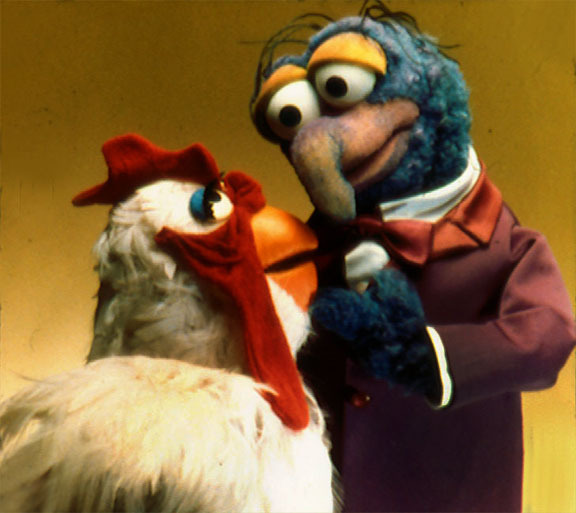 Start at the beginning of the series to learn about giving mouth to beak to a chicken…lol. Good luck and let me know if you have ever bathed with, gone swimming with or kissed a bird. I haven’t. I know he can get the job but can he do the job? So. You want to be a farmer. I know you can buy the land but can you work the land? Let’s paint a picture. Little house…just big enough for the fam but no room for clutter. A cellar for your jars of canned goods. A wood burning cook stove. A milk cow, a couple of pigs, some chickens, a big garden and a couple of fruit trees. Ah, the good life. If you have children, add homeschooling to the mix because you love spending time with your family and you know you can give more personalized attention to the children than they would get anywhere else. Yup. One of you stays at home with the kids and keeps the farm chores under control, the other drives off to the city to actually pay for the farm and get insurance. Those rose colored glasses are already clearing up aren’t they? How about compost? Each day you muck out the stall (horse, cow…whatever) into a wheelbarrow. Then you add it to a pile (probably requiring you to fork or shovel it high onto the pile). 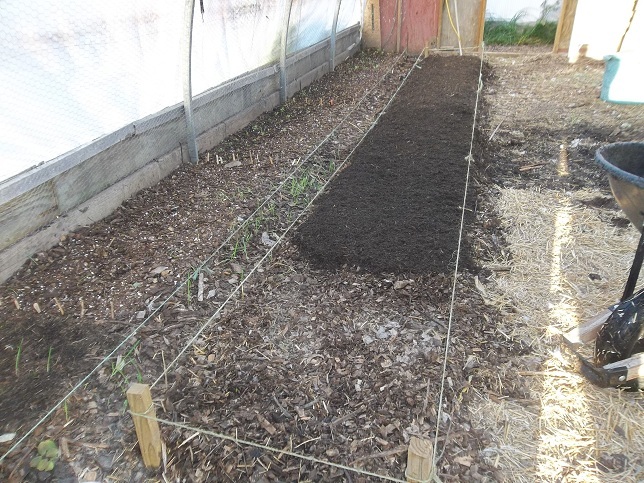 Then you fork or shovel the pile a couple of times to keep the compost active and hot. Then you fork or shovel it into a wheelbarrow again and head off to the garden for more forkin’ shoveling! All so you can sneak a few minutes here and there of pulling bushels of weeds and handfuls of produce from your garden that never quite manages to look the way it did when you first envisioned it. And oh! A wood cook stove! How romantic! You see the nice glow in the stove, you see the lovely wife pulling a roast out of the oven with a pie in the warmer. You don’t see the husband off camera with a hole in his boot wearing a smelly jacket (stupid pigs) holding a chainsaw for his entire week of vacation, felling, cutting, splitting and stacking the wood so he can save a few dollars over just buying propane. Oh, you can get the job. No problem. But can you do the job? Fresh milk! It’s fresh! It’s raw! It’s fun! (for the first two or three milkings). Then it becomes a chore. Another chore. I mean, you got up early this morning, fired up the wood stove, went mud-wrestling with the pigs, let the chickens out (checking for dead birds), moved the chicken tractors, watered the ducks, pulled a couple of weeds in the garden while getting a beet to feed the cow, somehow managed to catch the cow, squeezed the milk out of her for 30 minutes (oh, my aching everything), strained and chilled the milk and somehow 7:00 turned into 9:30 and those small humans you keep in the house haven’t eaten yet. Oh, and there’s laundry to wash, laundry to put away, summer clothes to pack, fall clothes to unpack, lunch to make, phone calls to answer (your husband asking if you are having a nice day), eggs to wash, sort and sell, somehow you have to make time to teach those small humans to read, write and cypher, the goats managed to escape somehow so you have to chase them down. Then that husband of yours who drives to the city to sit on his rear all day will be home soon and he had the gall to ask what you did today since there is still a basket of laundry that needs to be folded and you didn’t gather the eggs…you know, because HIS TIME IS TOO VALUABLE TO WASTE GATHERING EGGS OR PUTTING AWAY LAUNDRY! HE CAN GO FEED THE STUPID PIGS TONIGHT! Oh, and you totally forgot to work on the applesauce, to pick and freeze peppers out of the garden, and another day passed without watching that webinar for that new side business you’re thinking of taking up in your free time and if you don’t start making cheese soon you’ll have to buy yet another fridge! You can get a farm. No problem. But can you do the work? Whew! I’m not saying you can’t do the job. I’m asking if you can do the job. I know you can get the job. I’m not arguing that with you. Banks will loan the money. Interest rates are attractive. But what are you going to do when you get there? Will you miss your manicure? You won’t miss the weight you are guaranteed to lose. You might miss putting your feet up from time to time. So that takes us to why. Why do we do it? Why do we quite literally work our rear-ends off day after day? That’s a question for another post. I’ll give you a hint: Before the farm I felt like Joe from the clip above walking around the office in his pointless life. I gave them access to about 2 days worth of grazing with another 3 days within easy reach. Just have to move the fence. I had to look around a bit to find Molly. She was hiding next to aunt Flora. Aunt Flora wants to keep an eye on me. Molly, as you might expect, spends much of her day eating, sleeping and growing. When she bothers to get up she frolics around, Houdinis her way out of the fence and annoys her mother. We think aunt Flora wants to be a mother. Just a few more months, Flora. We nearly missed last Winter. Spring was short. 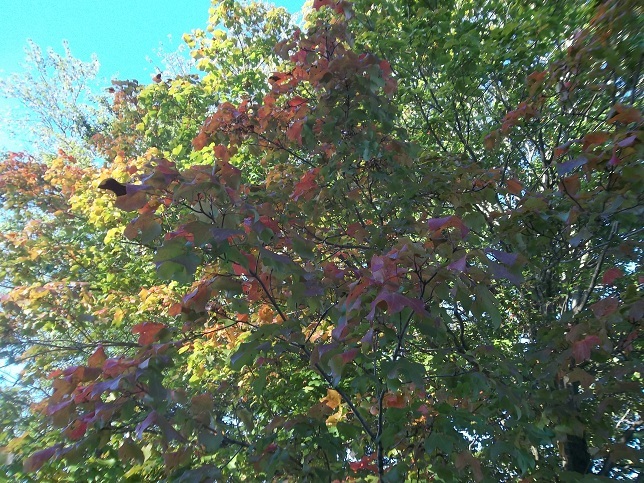 Summer came early and now Fall is asserting itself before I am ready. Fortunately the garden was untouched. Normally we are frost-free for another three weeks. 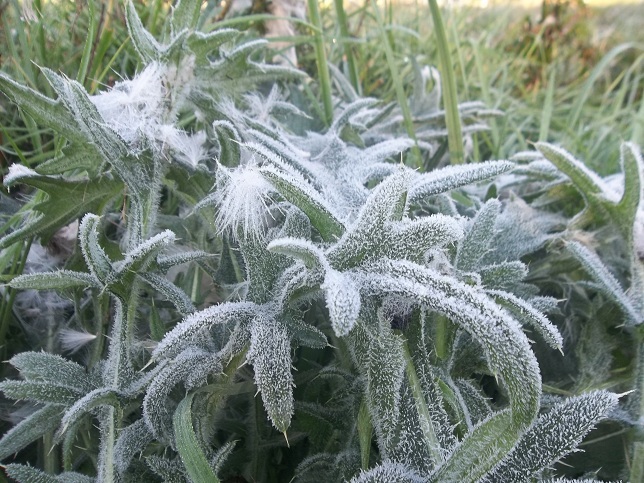 I’m not even sure this is the first frost, just the first one I noticed. I don’t think this is a good sign. Could be a long, cold winter. Not good for the bees. The next few days are calling for warmer weather but no real sign of an indian summer. I don’t think there was frost on the clover where the cows are grazing right now. I’ll have to keep an eye on them. Oh boy. 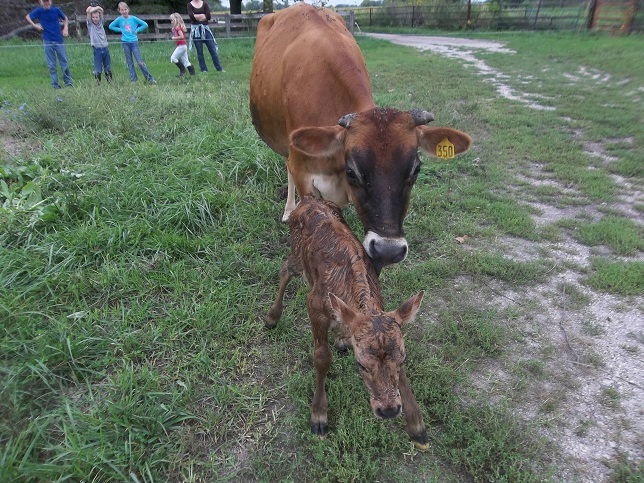 So we had a calf on Sunday. Tuesday we milked for the first time. So we have to fit something else into the routine. 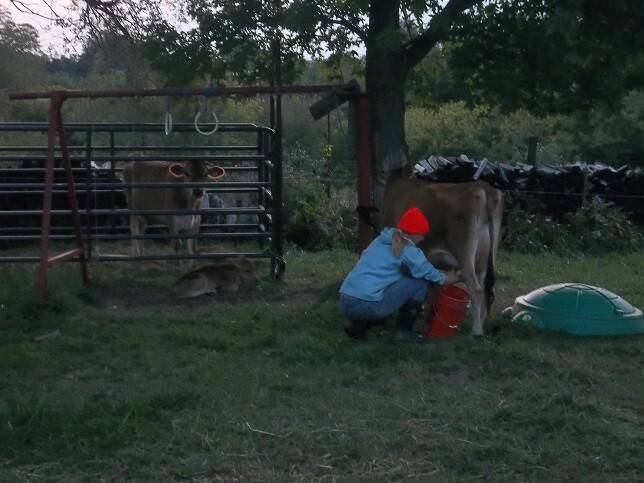 We’re trying to milk Mable at 6, wrap up a few other chores, milk Olive (goat) at 7, then finish chores outside, feed the children and start school at 9. Keep in mind I drive away at 6:15 each morning and return at 6:15 each evening so it’s just my wife out there. Couple of things about Mable. Maybe you didn’t know but cows make a lot more milk than goats. Also, our goat has nice, large handles. Even I can comfortably fit my hand around each to milk. Mable has four thimbles. To milk the cow I can only use my thumb and two fingers. Like trying to empty a river with a teaspoon. You can see all actors on stage in the picture above. May being milked while tied to a post, Molly laying close by and Flora penned up and out of the way. In spite of the thimbles, my lovely bride keeps at it. We’re just going to have to get a milker. For now we have only gotten colostrum from her which we give to the pigs. Starting Friday we’ll try to filter it for our own use. I can’t wait. In a recent post on compost I mentioned a fast compost method of turning the compost every day for two weeks. I put it to the test. 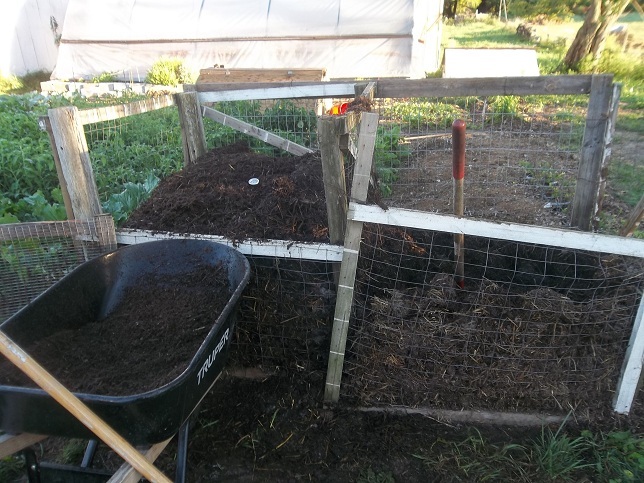 I brought home a truckload of horse manure, built two bins and filled one bin. 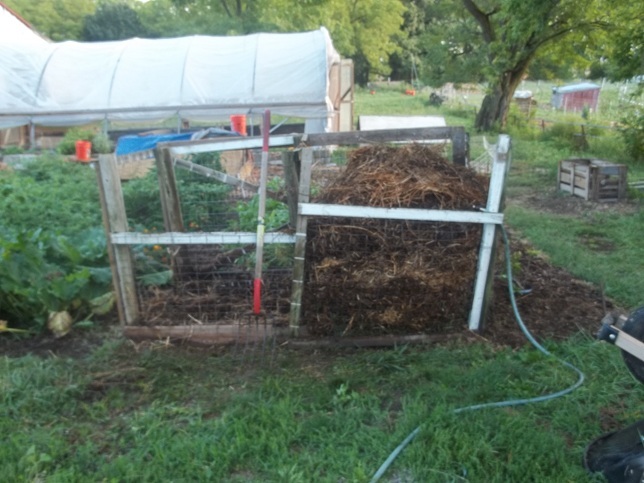 I wanted to give it plenty of air so I also mixed in two well-rotted bales of straw that sat in my garden all summer. As I built the pile I sprayed it down with the hose. This pile measures 4x4x4 and is made of an old roll of fence a friend gave us and some boards my father in law gave us. For two weeks I turned this compost pile. Sometimes before work, sometimes after work. But almost every day it got turned. There were a few days when hot steam was rising out of the compost pile as I turned it at 5:30 in the morning. A light breeze carried the steam right in my face. I guess it could have been worse but it wasn’t great. Two long, miserable, tiring weeks. 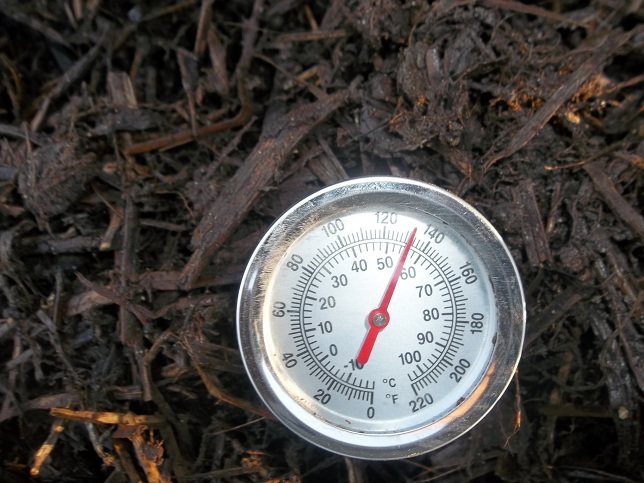 Each day the compost pile heated up. Each day I turned it. The pile stayed pretty hot the whole time. We’re at the end of two weeks. Now I’m sifting the compost out, mixing it with a few other ingredients and starting a new pile. The finished compost is being mined out of the right. Anything that is not finished (doesn’t pass through the screen) gets placed on the new pile on the left. The pile on the left is mostly another truckload of horse manure I hauled from the barn on Sunday. I would guess about 60% of the bulk doesn’t fit through the screen and needs to compost further. This could have been improved if I hadn’t put the straw bales in or if I had chopped the material to start with. I mix the compost in the wheelbarrow with a bit of crushed char from the fire pit and either a coco coir brick or well-rotted sawdust. This gives me a good bedding medium but it still needs to cure before planting. It’s just too hot. Please ignore the grass growing in my greenhouse. So I guess that’s that. Fast compost. I’m not sure I’ll do that again. I’m a little sore. I think it’s far better to just plan ahead. Or buy a tractor with a loader on it. Still wet after just standing up. I have to stop here for just a moment to say how proud I am of my children. 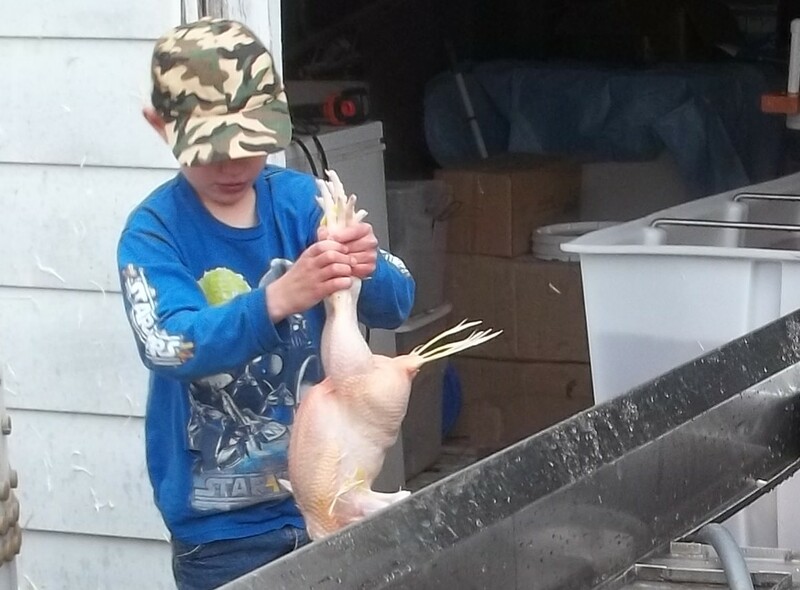 This is the third year we have been processing chickens. The first year, my then 9 year old son stepped up to the plate and hit a home run. He immediately learned to eviscerate. Further, he started teaching adults who came to see what was going on. Last year, 3 of my children decided they could help pick feathers but none of them really stuck with it. This year, each of them stuck with it for every stinking bird. The youngest said, “Dad, we just have to bite the bullet”. Indeed. We do not force our kids to participate. It’s kinda gross and we are taking a life. If they don’t want to participate we don’t push. They are all out there voluntarily so we try to find fun things to do together. For instance, when we kill the last bird we all stop to do the chicken dance. Good times. To be honest, I don’t think about the turkeys very often. Once they are out of the brooder they are darned near indestructable. I keep water in front of them, give them feed and a source of grit, move them daily and they’re good. 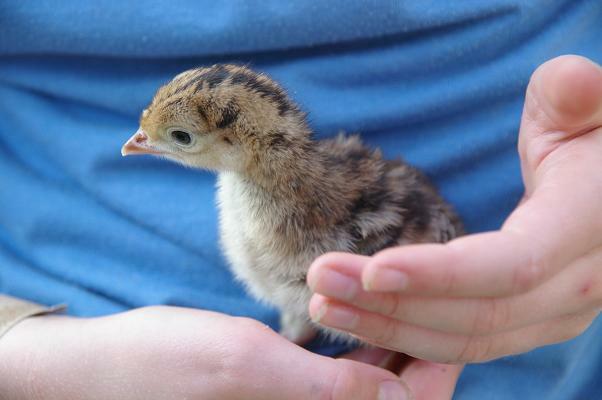 Oh, they’ll do everything in their power to kill themselves in the brooder but after that they don’t really need me. I don’t have any experience with heritage breeds. 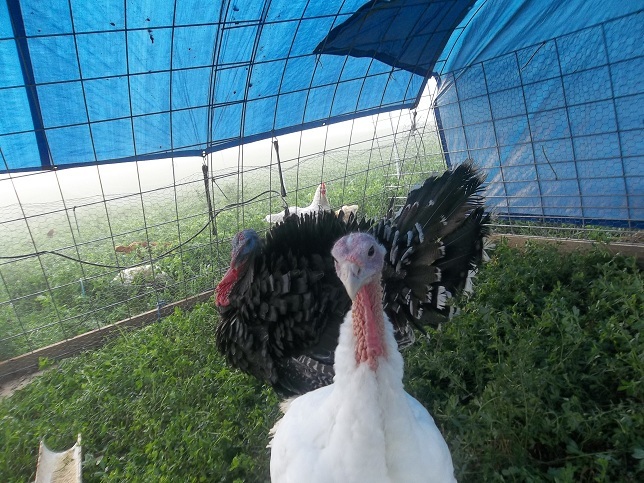 We have raised Broad Breasted White and Broad Breasted Bronze turkeys the last two years. 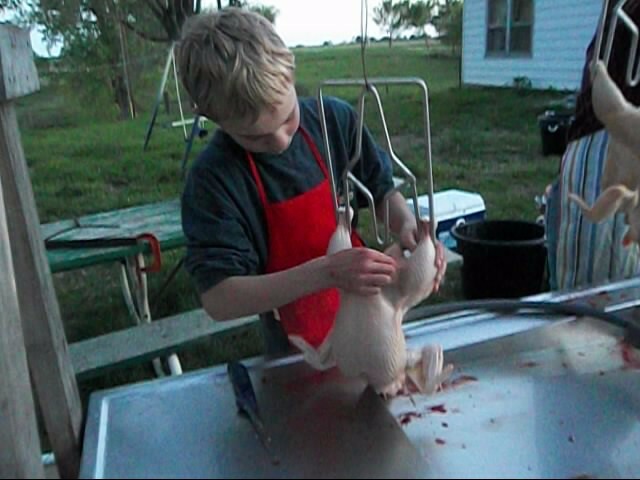 The first year I slaughtered all 20 chicks. This year 7/10 died in the brooder. But 3 came through with flying colors. This year’s turkeys arrived on May 4th. 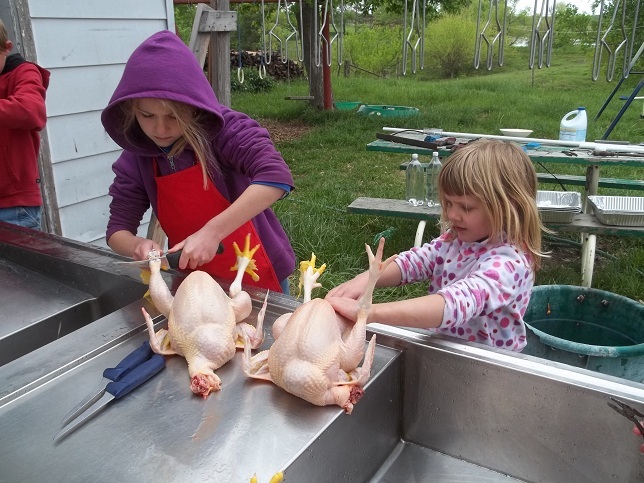 At 4 weeks the turkeys left the brooder and went to the chicken tractor. This is a bit early but since the weather was unseasonably warm and dry we took our chances. They dressed out early in September as HUGE birds. Huge. Dinosaurs. Once again we waited too long to process them. Also, the white (no surprise) are easier to dress out. I can tell you how many pounds of feed my broilers eat. I have no idea how much my turkeys ate. I believe they are pretty efficient because they forage so well but, honestly, I have no idea. We just feed them and they grow. 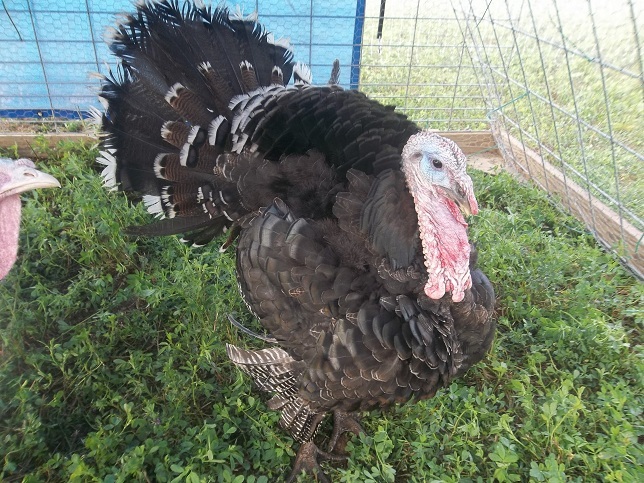 Two years in and we still have much to learn about turkeys! 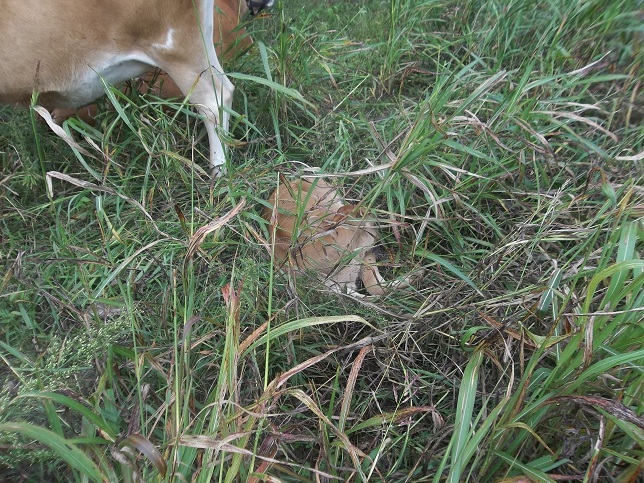 Let me know if you have any advice on keeping poults alive. It’s all compost and gardens with a smattering of turkey processing. We are still reading Bill Bonner’s Family Fortunes. We found a passage that seems familiar to us. When we were driving through western Pennsylvania recently, we were struck by how cheap it would be to live there. Houses are very inexpensive, at least compared to what we’re used to in the Baltimore-Washington metro area. You could have your own garden. A few goats, chickens and rabbits. An old car. A wood stove. A library card and an Amazon account. What more do you need? Once you were set up, it’s hard to see what you could spend money on. There are no shops worth frequenting, no restaurants worth dining at, no nightclubs, no theatres – not much of anything. Would this be a barren and boring life? Not at all! Gardening, building, reading, visiting with friends, watching movies on the home computer. What more could you want? And with such low fixed costs, you could easily splurge from time to time with a weekend in Manhattan or Miami. What would be a reasonable budget for a life like that? Maybe $1,000 per month. OK. Well, I guess we’re living the dream…though I’m quite a bit west of western Pennsylvania. I have a few thoughts on the passage above. He’s not really writing about a dream life of gardening and chickens. He’s writing about the need to minimize expenses in case your family fortune isn’t measured in millions. In his example, he suggests a “fortune” of $300,000 at 4% interest to keep you in that $1,000 per month category. With that, he thinks you could live quite well on your little farm in Timbuktu. I think you can do better but let’s explore his example. Garden: With season extension your garden can provide a huge portion of your family groceries. Check out The Winter Harvest Handbook, How to Grow More Vegetables. Get yourself a small greenhouse and you should be in pretty good shape. Just go out and get your hands dirty. Goats: Ugh. Sorry Caitlyn. Goats are great because they are small enough to manage and they are generally fun to be around (does anyway). BUT they jump fences, crawl under fences and turn themselves into a fog and pass right through fences. They’ll destroy your fruit trees if given the chance. They’ll help themselves to your lovely broccoli plants. In short, they’ll compete with you for things you want to eat. Even if you manage to keep them fenced (we keep ours fenced…now) it’s hard to keep things they like in front of them. Goats like browse. They want to eat tree leaves and woody, growing tips of branches. There are a few weeds they like to eat. This is a good thing early on if you live on neglected ground. 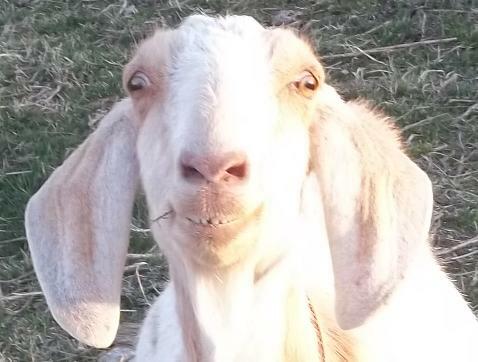 But after a season or two, the voracious appetites of your goat friends will have the weeds and brush under control. Then what? Well, they don’t eat grass. So I guess you’re going to have to feed them alfalfa hay. Remember Bill’s goal of living under $1,000/month? It just went out the window. 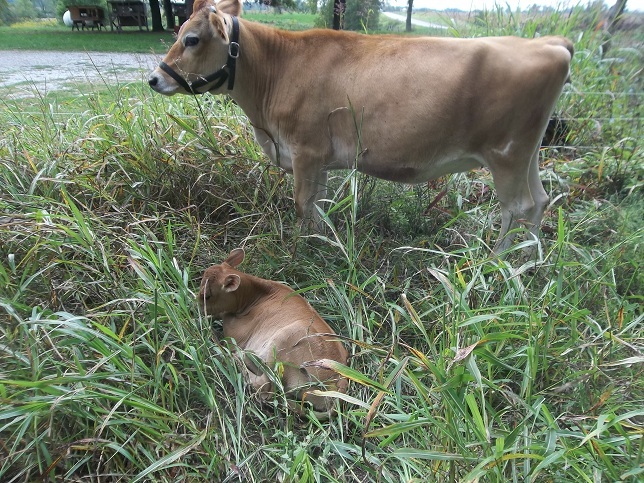 I’m going to suggest you buy raw milk from a neighbor or, if you have the room, get yourself a miniature dairy cow, specifically searching for a low-maintenance animal that does well without grain. The goal is efficient conversion of sunlight into product and cows are just better at it than goats if your soil is in any kind of condition at all. Milk is a great source of health and wealth on the farm as you can feed yourself, your pigs or even your chicks with milk. 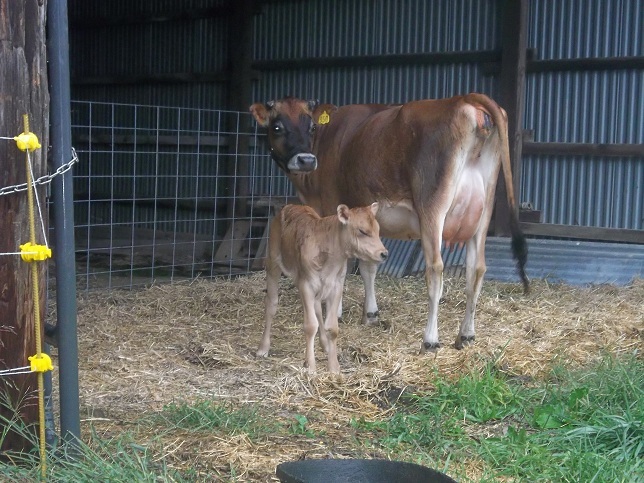 Even the soil benefits from a feeding of milk. But goats, as great as they are, may not be the best means to that end. I absolutely agree. But, if you’re looking to minimize expenses, just keep a few hens for eggs. Better yet, keep a few ducks as they will eat more grass and weeds than hens. 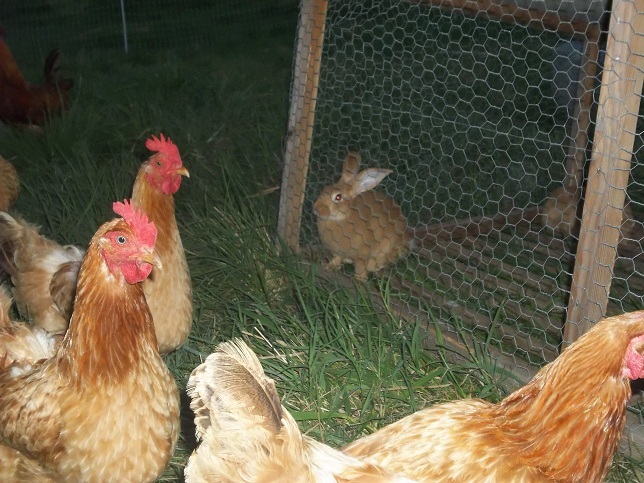 Rely on the rabbits to provide the meat. Kept for those purposes, you can mostly feed both out of your garden…and you can mostly feed your garden out of the chickens and rabbits. Meat birds require a lot of time and energy. Meat rabbits just don’t. Four heritage layers will keep your family in eggs for two years. Then you get a few replacement birds and make soup with the old ones. Wood Stove? Check…but not installed yet. It would be better to go with a rocket mass heater so you wouldn’t have to own a chainsaw, just a good pair of loppers. Amazon Account? Check. But it requires restraint. 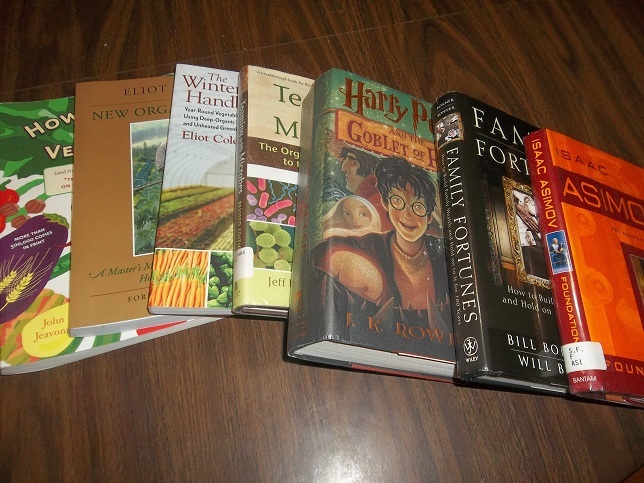 It’s easy to fill your bookshelves or your Kindle with books you’ll never get around to reading. Budgets have to include time. Time. Where does it all go? $300,000? Nope. Not even close. We have tens of dollars. Dozens even. But we’re moving in the right direction. Other than that I’d say he’s not far off. If we didn’t have a house payment and didn’t drive to town for work every day our monthly outflow would be something on the order of $1,000. The difficulty comes when we need to make capital investments in our property to increase fertility, productivity or water retention…but I’m looking at it as a business and he’s just looking for a place to live. I would also suggest a pig or two for your thrifty homestead to consume garden waste, orchard waste, kitchen waste and sour milk. Mmmmm…bacon. Well, those are my thoughts on it. Let me know your thoughts in comments.